During their annual upfront presentations, network bosses typically try to woo advertisers with the promise of new programming. But since FX Network recently spent a whole bunch of money for old Simpsons episodes (an experience familiar to anyone who’s ever set a Google Alert for “Simpsons + Amazon + Sale”), CEO John Landgraf took the opposite approach this year. The big headlines out of Landgraf’s presentation concern the 12-day, 522-episode marathon that will herald The Simpsons’ arrival on FXX. According to Variety, Landgraf claimed “it will be the longest continuous marathon in the history of television,” meaning your letter-writing campaign to get all of TV to be one, unending stream of Mama’s Family has failed yet again. Dreams of an infinite loop of “Last Exit To Springfield,” however, could soon become a reality via a yet-unnamed Simpsons mobile app. 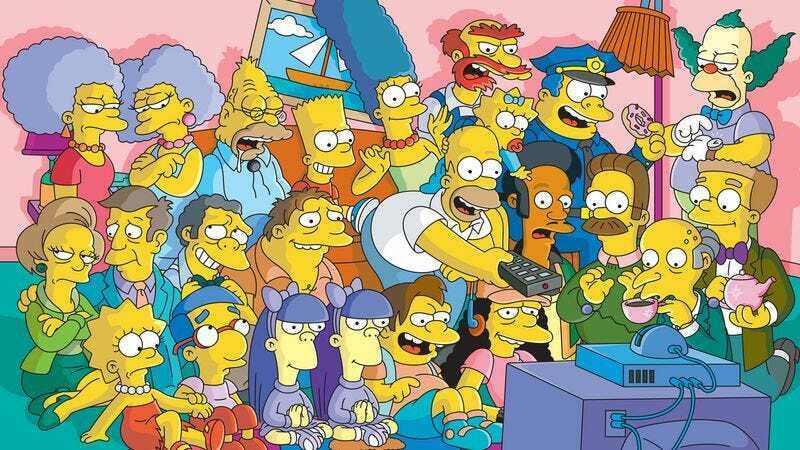 As the theme-park-esque Simpsons World is one potential name for the streaming platform, The A.V. Club presumes the app is already out of “Bort” usernames. Perhaps sensing that he was losing the crowd—or just flexing the honesty that makes him one of the more fascinating people in charge of what’s on the TV—Landgraf also mused on the fluidity of Emmy categories, characterizing HBO’s decision to enter True Detective in the drama series race (rather than the miniseries one) as unfair. “I’m going to try not to cast stones because the truth of the matter is, it’s a very kind of freewheeling and ambiguous situation,” The Wrap quotes Landgraf, before anticipating an ambiguous and freewheeling future when ongoing series lose the big awards to the likes of Billy Bob Thornton, Matthew McConaughey, and other stars lured to TV by short-term deals. Of course, when McConaughey inevitably leap frogs over Bryan Cranston and Jon Hamm at this year’s Emmy awards, viewers of Landgraf’s networks will be too busy streaming “Marge Vs. The Monorail” to notice.